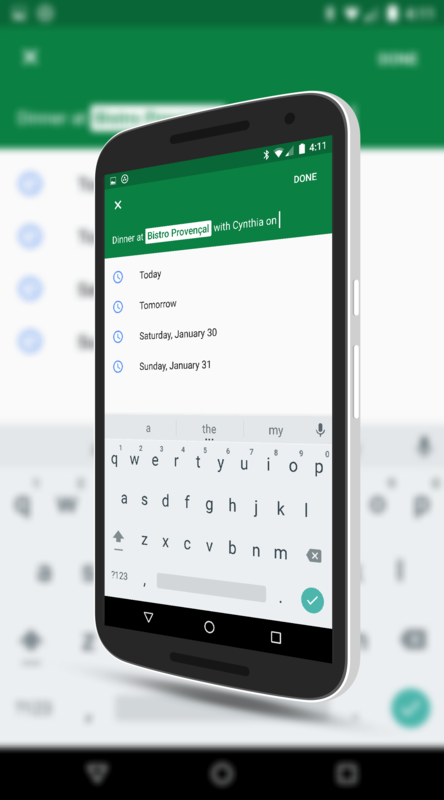 Google Calendar for Android has received a nice update that brings a new smart suggestions feature that makes creating new events quicker and easier than ever. The update is rolling out to the Google Play Store now and is version 5.3.3 for those keeping score at home. The new smart suggestions make creating a new calendar event quickly by giving you suggestions based on what you are typing. So for example, if you start typing “din” it will come up with the suggestion “Dinner” or “Dinner with mom” and then you can tap on that to add it to the event name. But it goes further. You can add the location when you see the “at” option appear and you can add people when you see the “With”. While it is only supported in English currently, you can also use the “on” feature to add a date and time to the event. All of this is done with literally a few taps instead of having to type every. single. word. That is a healthy addition for sure and really makes the app truly global. If you haven’t seen the update hit your device, give it a bit of time (may up to a few days) and then give it a try and see what you think. Got an .apk, I cant wait!